Incense making in Japan is an art form. Burning incense is known as listening. 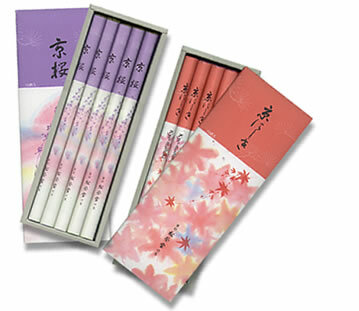 The Japanese have elevated the use of incense to a poetic and cultural dimension without equivalent in the world. Each blend of incense has been created and refined over centuries and is made in strict accordance to the ancient traditional Japanese lore. The Japanese appreciate 'incense time' at Koh-do (Incense Ceremony) as we enjoy 'tea time' for relaxation, refreshment and communion with others. So subtle and poetic is the blending of each incense, that it speaks to the very heart of the listener evoking powerful feelings and images of joy, freedom, bliss and enchantment. The fragrances may remind us of home, garden, friends, & the memories of childhood. Without the sense of smell, our lives would be far less interesting.